Have a look at the latest hot Alpine Properties available for sale. Extremely well presented and immaculately renovated South facing 2 bedroom Duplex apartment on the lower South side of Morzine. Upper balcony and small private garden area. Walk to the Super Morzine telecabine and town centre. The apartment benefits from 2 large secure parking spaces in a garage. Internal ski cupboard. Rarely available in this residence and location. Built 1948. Find out more about this property for sale in Morzine. 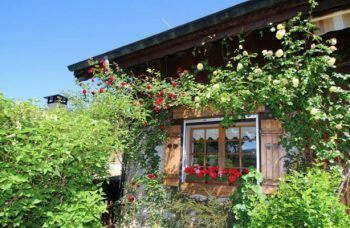 Beautifully renovated traditional chalet For Sale; Located in a quiet and beautiful rural area, but still just a few minutes drive to the village, in the Bellecombe area of St Jean d’Aulps. Read further details of this chalet here. 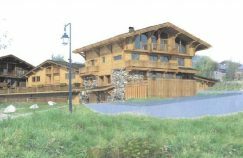 Les Chalets de Montriond is a new build development in Montriond, reserving now Off Plan! The project consists of 2 small chalet style buildings with a total of 21 apartments for sale. A stone’s throw away from a free bus stop for an easy access to Morzine centre or Ardent cable car (to Avoriaz area). Find out more about these apartments for sale here. Large character property, located in the sunny hamlet of Bas Thex, within a 20-25 minute easy walk of St Jean d’Aulps village centre and a selection of bakeries, shops, bars and restaurants. Offering 190m² approx. of living space over 2 floors. A pretty garden by a stream completes this wonderful property. Find out more about this beautiful chalet in St Jean D’Aulps. For a picture-perfect Alpine home in a beautiful location look no further than this 4 bedroom farmhouse for sale, originally built in 1796 and impeccably converted in 2013 into two habitable levels plus mezzanine in the modern “upside down” style. More information here. 1 Bedroom 1st Floor Apartment For Sale in the centre of Morzine ‘Old Town’. Ideal for a small “Pied à terre” in the mountains, for a rental investment or to accommodate staff. Located in the heart of the village, it allows the ability to do everything without a car; walk to bus, shops, bars, restaurants and all amenities. Read further details of this fantastic one bed apartment for sale in central Morzine.